Home News Special Projects Unfolding BoU’s dirty events in recent times: What went wrong? Unfolding BoU’s dirty events in recent times: What went wrong? 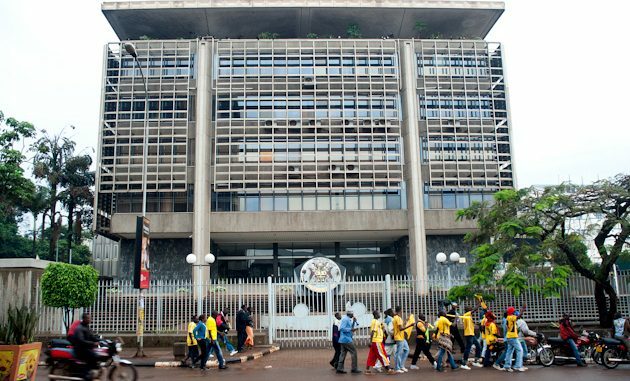 There is no doubt that Uganda’s Central Bank- Bank of Uganda (BoU) has had its share of misfortunates, particularly after it took over Crane Bank Limited (CBL) in October 2016 and controversially sold it to its rival Dfcu Bank in January 2017. That transaction has been the talk of the town for over a year now. The transaction between BoU and Dfcu has been the talk of the town because BoU claims it invested about Shs478 million of taxpayers’ money in CBL but interestingly or shockingly sold it to Dfcu at only Shs200 billion, moreover paid in installments, yet Dfcu would in its 2017 half year financial statement announced net profit of Shs114 billion, though the year ended with the bank Shs41.3 billion in net profit. BoU’s Governor Emmanuel Mutebile while defending the CBL transaction said the bank was insolvent, it could not be put back on track and so the solution was to transfer it to a competent bank, in this case, Dfcu Bank whose majority shareholders are foreigners led by Arise BV with 58.7 per cent and have the liberty to siphon all the profits to their home countries since it is government of Uganda policy. After depositing of CBL assets to Dfcu Limited, BoU would go ahead to sue CBL’s majority shareholder Sudhir Ruparelia and Meera Investments Limited for Shs400 billion. But in the counter claim Sudhir sued BoU asking for US $8 million for breaching clause 12 of the Confidential Settlement and Release Agreement (CSRA). Days ago Judge David Wangutusi gave the two sides another chance to negotiate out of court, warning that failure to do so would make him punish the lose heavily. In the suit BoU was in December 2017 left helpless as the Commercial Court in Kampala ruled that lawyers Timothy Masembe of MMAKS Advocates and David Mpanga of AF Mpanga Advocates respectively exit the case between Sudhir Ruparelia and BoU. Sudhir through his lawyers of Kampala Associated advocates lodged a complaint saying that the two lawyers and their firms are his potential witnesses and therefore, cannot continue representing Bank of Uganda citing conflict of interest having represented him and the defunct CBL in the past. Justice wangutusi ruled that evidence shows that the two law firms have in the past had Sudhir Ruparelia and his Cranes Bank as clients adding that an implementation agreement signed between David Mpanga and Sudhir early this year (2017) which is also at the centre of Sudhir’s counter claim against Bank of Uganda is a clear indicator that the lawyer cannot represent the Central bank in the same case. “They were close to Sudhir who was their client and a lot of information must have flown from one party to the other. 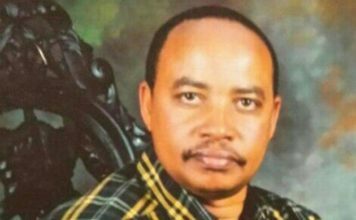 The lawyers could have acquired secrets and therefore there is a possibility of disclosure of some of the secrets by the lawyers,” Wangutusi ruled. BoU had spent about Shs3b on the lawyers as legal fees. But Sudhir had his first win here. On February 7, 2018 Tumusiime-Mutebile abruptly made changes of the senior staff at the rank of directors, firing former Executive Director of Supervision Justine Bagyenda even as she was remaining with a few months to official retirement. He would replace her with Dr Tumubweine Twinemanzi who hitherto was stationed at the Uganda Communications Commission (UCC). Mutebile could not give reasons why he decided to fire Bagyenda but earlier on he had intimated that “someone” at BoU was responsible for supervising commercial banks and that the CBL saga could not be blamed on him. Analysts thus concluded Mutebile fired Bagyenda for failure to do her role as expected. Following her sacking, Bagyenda would rush to the Inspector General of Government (IGG) crying that she be reinstated to her job, reasoning that the decision Mutebile took violated the law. IGG Mulyagonja would late agree with Bagyenda and in March wrote to the BoU Governor blocking the staff changes at BoU but Mutebile could not bow to the IGG’s advice, citing the independence of BoU. That would cause public spat between Mutebile and Mulyagonja to the extent that President Museveni had to come in to settle the differences between the two senior government officials. 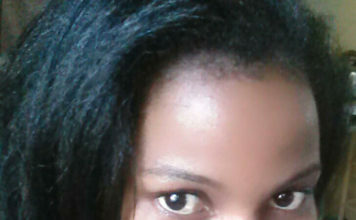 But no one knows whether Mutebile and Mulyagonja can see eye- to- eye. 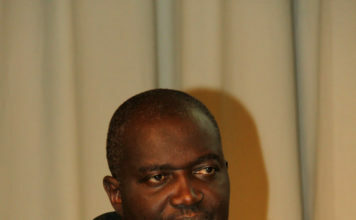 When the Parliamentary Committee on Commissions, Statutory Authorities and State Enterprises (Cosase) ordered that the Auditor General (AG) John Muwanga investigate BoU over the sale of defunct banks, including CBL, Greenland Bank, Teefe Trust Bank, Global Trust Bank Uganda, the Cooperative Bank and others, BoU’s Deputy Governor Dr Louis Kasekende wanted to frustrate the process, reasoning that it could violate the subjudice rule as there was a related case in court. He would approach the solicitor Francis Atoke who advised that BoU could go ahead not to cooperate with investigators from the AG’s office. It took the intervention of Speaker of Parliament Rebecca Kadaga for BoU top managers to accept that they be investigated, time and probably financial resources are having been wasted. However, as Muwanga would later reveal in his special audit report of bank on defunct banks, not all the information that his team required was provided by Dr Kasekende and others who were interrogated. It proved Kasekende and others did follow certain guidelines as they liquidated and sold off the affected banks. Cosase specifically requested the AG to provide assurance on; the status of the banks at closure, cost of liquidation, status of assets and liabilities of the aforementioned banks from closure to date, non-performing assets, non-recoverable assets and liquidators. “I was not availed with the inventory report, loan schedules, customer deposit schedules and statements of affairs of Teefe Trust Bank to enable me to fulfil the specific audit objectives. Trust Bank from closure to date,” Muwanga says in his report of August 27, 2018. That only means that even after allowing to be investigated, Dr Kasekende and others still frustrated Muwanga and his steam by not giving all the information. Muwanga having done his part the public is waiting to see what parliament will do since it is the MPs who ordered for the audit. Bagyenda’s woes at BoU were not helped by the leaked bank documents which exposed her bank account transactions, indicating that has close to Shs20 billion on various bank accounts as well as palatial real estate developments around Kampala. This revelation caused some members parliament and sections of the general public to call for the investigation of Bagyenda’s alleged illicit wealth. And the IGG sometime back confirmed she was investigating Bagyenda over the matter and that she would share the report with a few relevant authorities. Some sections of the general public believe that Bagyenda might have acquired some of the wealth through the liquidation and sale of certain banks named, as she was heavily involved as executive director supervision, the reason Muwanga had to interrogate her. For example, by September 2017, she had only Shs48, 000 on her shillings account, (no. 5106903903 Diamond Trust Bank), but the same account had received over Shs10 billion between February 2014 and September 2017. Her dollar account (no. 5106903904) reflected a zero balance as of October 2017, but the same account had over $1m (about Shs3.5billion) deposited on it from January 2014 to October 2017. The alleged illicit of Bagyenda was behind her failure to be posted to the Board of the Financial Intelligence Authority (FIA) for the second term. She recently failed to appear before Parliamentary Appointments Committee which approves officials appointed by the president or ministers. But this was also because of the public outcry that the IGG finanlises investigations against her before she could be appointed to the FIA board. In May this year, Uganda Revenue Authority (URA) was reported to have started investigations into allegations that Bagyenda had evaded paying income tax on her properties. Bagyenda is said to have several houses and plots of land in posh suburbs. URA some time back released a non-compliance report that indicates that her tax accountabilities could be Shs7 billion. But since it launched investigations the tax body has not given any report on the same. The public anticipates to see if the appointing authority will take the report of the AG in practice and have some people held responsible for the mess at BoU.